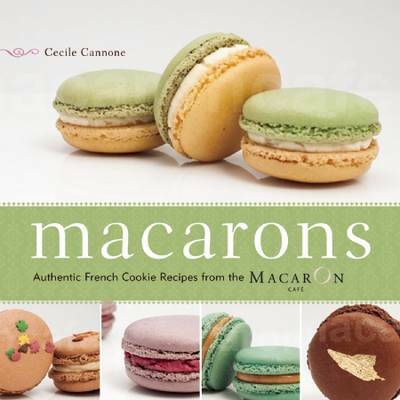 The hottest pastry item since cupcakes, colourful, fun, crunchy-on-the-outside, soft-on-the-inside macarons are exploding in popularity and this easy-to-use cookbook shows how to make these delicious French cookies at home. From acclaimed pastry chefs Florian Bellanger and Ludovic Augendre, here comes the ultimate guide to baking delicious French macarons. These adorable sandwich-like treats have exploded in popularity and have been declared by many to be the hottest dessert since the cupcake. With stunning photographs and easy-to-follow directions, the chefs share their expert secrets for creating the perfect cookie. Featuring delicious favourite flavours - like rich chocolate fudge, nutty pistachio, and creamy lemon as well as more unusual offerings such as white chocolate poppy seed, Earl Grey, and even whiskey soaked - the book includes macaron recipes for every taste.